Spider-Man swings into Disney California Adventure Park with an all-new Tony Stark-crafted suit as part of the Worldwide Engineering Brigade, or WEB, coming to the Disneyland Resort in Anaheim, California. The attraction, teased in concept art released in November, will be a pillar of the park’s Marvel-themed expansion due to open in 2020. The attraction will showcase a blend of never-before-seen technology and practical effects, allowing guests of all ages to swing into their own adventures alongside their favorite Marvel heroes. WEB is located just steps away from Guardians of the Galaxy — Mission: BREAKOUT!, Disney’s premiere Marvel ride that reached Disney California Adventure Park in May 2017. “It has been the highlight of my career to design all of Spider-Man’s suits for the most recent films,” Ryan Meinerding, Head of Visual Development at Marvel Studios, told Walt Disney Imagineering’s Scot Drake (via Marvel). Meinerding designed the web-head’s multiple looks across his tenure as a rookie superhero within the shared Marvel Cinematic Universe, appearing in Captain America: Civil War, Spider-Man: Homecoming, and Avengers: Infinity War. Spider-Man is already available for character encounters daily at Disney California Adventure Park, which has since debuted Captain America, Black Panther and the Dora Milaje, Black Widow, Doctor Strange, Thor and Loki, and most recently Captain Marvel as live-action characters populating the park. 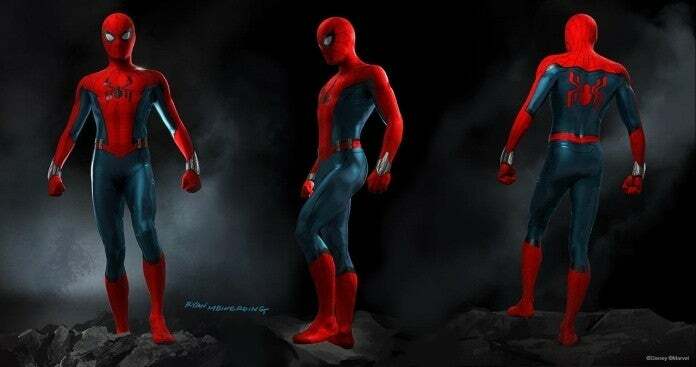 Spidey will soon sport his re-imagined suit, doing away with the current design influenced by The Amazing Spider-Man 2. The Disneyland Resort will host a two-night celebration of Marvel and its world of superheroes, Disneyland After Dark: Heroes Assemble, April 30 and May 1. Disney California Adventure Park, located opposite of Disneyland in Anaheim, California, will debut its Marvel-inspired expansion and the West Coast’s first-ever Spider-Man attraction in 2020. Disneyland first opens its immersive Star Wars: Galaxy’s Edge expansion May 31.